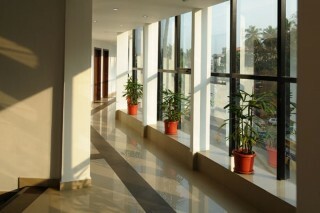 If you are visiting Mangalore and are looking for a property to suit your standards , you have come to the right place. 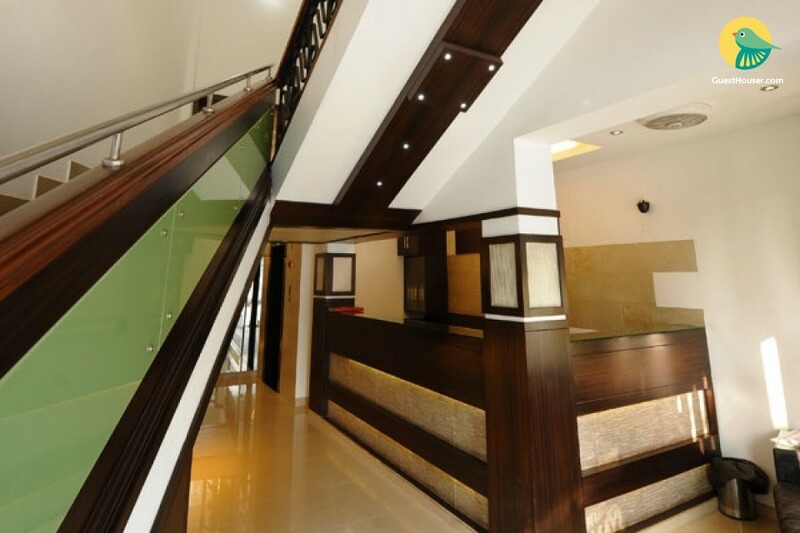 Located at a distance of about half a kilometre from the KSRTC bus stand, this boutique property offers a high class suite for up to three people to stay comfortably. 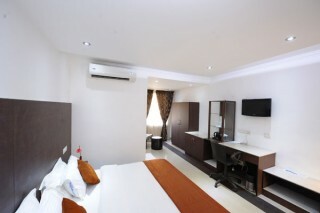 The room is spacious and well-furnished with a plush king-size bed, a cushioned love seat and a leatherette ottoman for comfortable seating, a revolving chair, cupboard space, and a TV to keep guests up to-date with their favourite TV shows. The flooring of the room has been done with vitrified tiles and the interiors are done up in wooden laminates. 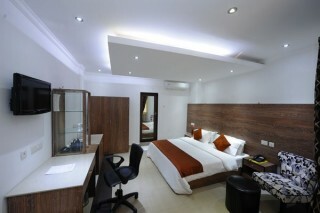 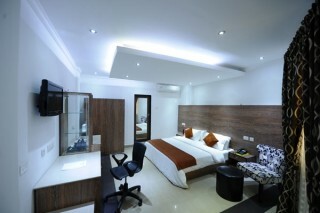 The contemporary style ceiling of the room is equipped with LED ceiling lights. 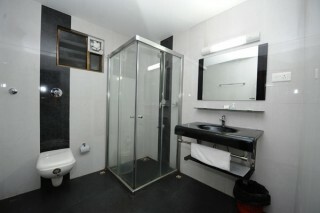 The bathroom of the accommodation is spacious and well-appointed with lavish modern fittings. 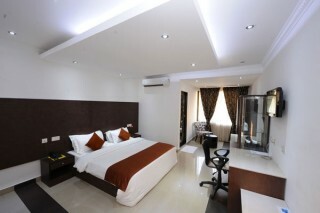 Breakfast is complimentary here.